As evidenced in my Mad about mushrooms post, Toadstools of all shapes and sizes make me a very happy mouse! 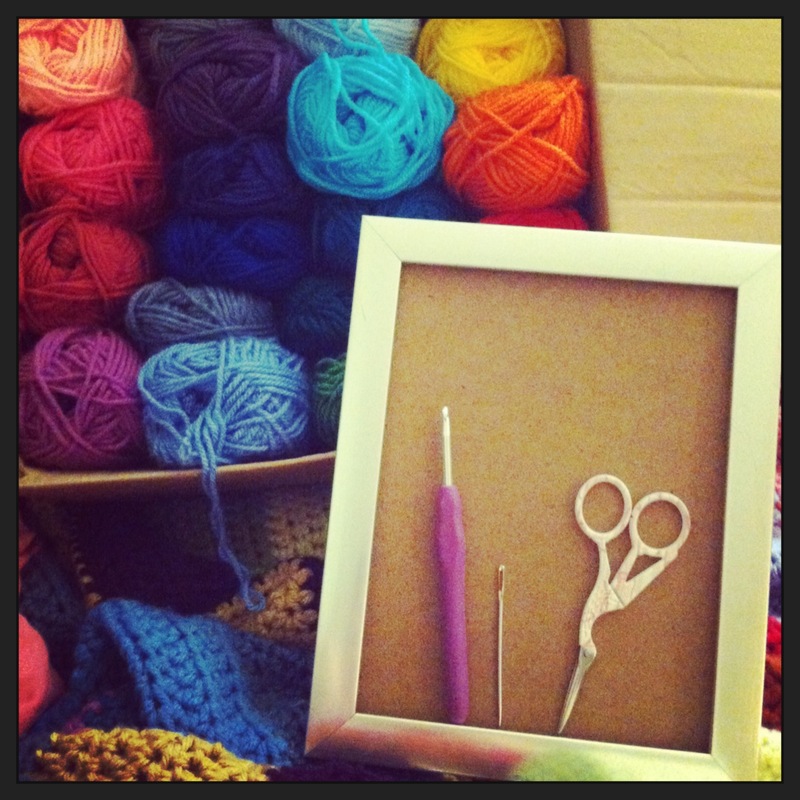 With that in mind it’s time for another spotty upcycling, crochet adventure! A battery operated tea light – not to state the obvious but a normal tea light would be dangerous not to mention a one time only deal! rd 1: into a magic circle, chain 2 and dc 12 times , slip stitch into the top your first dc to close, pull the end to close the circle. rd 3: chain 2 – dc into same stitch, *dc twice into the next stitch, dc into next stitch* repeat ** around, slip stitch into the top of your first dc to close. rd 4: chain 1, hdc into same stitch, hdc into next stitch, *hdc twice into the next, hdc in each of the next two stitches* repeat ** around and slip stitch into the top of your first hdc to close. chain 2 and dc into the same stitch, dc into the next 10 stitches, chain 2, skip two stitches, dc, chain 2, skip two stitches, dc, dc into the next 14 stitches, chain two, skip two stitches, dc, chain 2, skip two stitches, dc, dc into each of the remaining stitches then slip stitch into the first dc to close. 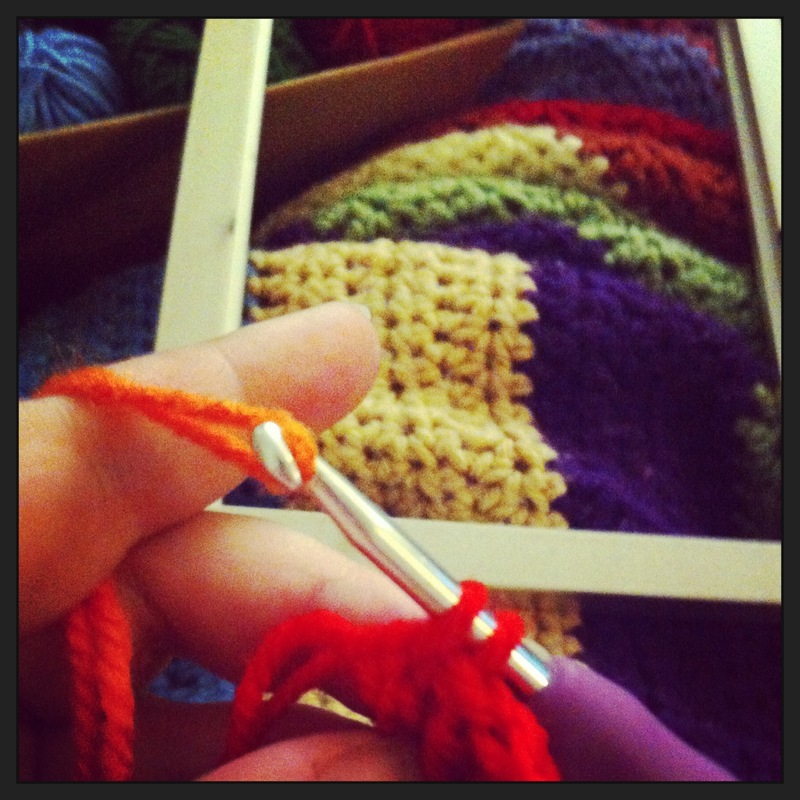 sew in your end at the bottom if you haven’t already and slip the jar into your crochet piece. rd 19: switch to your 3.5mm hook and loosely slip stitch around, cut yarn and sew in end. chain one and work 6 sc evenly along the first side, sc twice into the corner, sc in the next 3 stitches, sc twice into the corner, work 6 single crochet along the next side evenly. Work one sc into the next stitch, 2sc into the next, sc into the next, 2 sc into the next and a final sc into the last. Slip stitch into the top of the next stitch to close, leave a long tail for sewing to the jar. Sew your button onto the door wherever looks most pleasing to you then sew your door onto your beige cover in between the ‘window’ spaces. I like to line up the bottom of the door with rd 5 of the beige cover. Sew in ends. Next up take a long length of green yarn and embroider on your ‘grass’ around the jar. Make 3 – into a magic circle, chain 2 and dc 12 times, slip stitch into the top of your first dc to close, leave a long tail for sewing the spot to the top. Make 3 – into a magic circle, chain 2 and dc 12 times, slip stitch into the top of your first dc, chain 1, hdc twice in each stitch around, slip stitch into the top of your first hdc to close, leave a long tail for sewing the spot to the top. Arrange your spots on your top in a way that you like the look of and sew them to the top using the tails. Quite a while ago I posted about the fruit cushions I had made for my cousin. I wrote up the patterns for the lemon, orange and lime slices and thought it was about time to write up a pattern for one of the other cushions. So today its the turn of the kiwi slice! repeat the pattern for the back using just the leaf shade of yarn. To assemble – hold the two pieces together making sure the side with the buttons on is facing you and single crochet the two pieces together – when you get about 2/3rds of the way round insert the cushion pad then continue to sc around. ss to close and weave in any ends. Ta da – you now have a kiwi slice to add to your ‘fruit bowl’! I have been vegetarian for as long as I can remember. I was pretty young when I decided that meat was just not something I wanted to eat. The story goes that my mum who is a fantastic cook, made roast pork one day and the texture made me feel so sick, from that moment on meat was off my menu. Vegetarian options when I was a kid were not great – particularly for a kid who was not just a vegetarian but a fussy one. Give me a plate of sprouts, swede and cabbage and I was in heaven, but onions, peppers, mushrooms, eggs, meat substitutes and fish – not a chance! A good veggie burger alluded me – due entirely to my fussiness, so you can imagine my delight at 38 discovering a burger that was not only vegetarian but also had none of those pesky meat substitutes or vegetables I don’t like in it. I was taken out for a meal by Mr Anonymouses family to my local American style diner, Route 66 in Axminster (if you are ever passing through I highly recommend popping in if only for the milkshakes!). I was feeling a little adventurous which is unusual for me and ordered their butternut squash, beetroot and goats cheese burger – it was amazing! One cannot eat out every night of the week so I searched for a recipe I could make at home and found this one from CookingisMessy and if I say so myself the resulting burger was yummy! They freeze beautifully and taste divine. With my new found appreciation for burgers I embarked on a bit of a crocheted burger frenzy. Given the relatively less known aesthetic of the beetroot and squash burger I went with the iconic Cheeseburger. My first foray into crocheted cheeseburgers was with a pair of fingerless gloves. 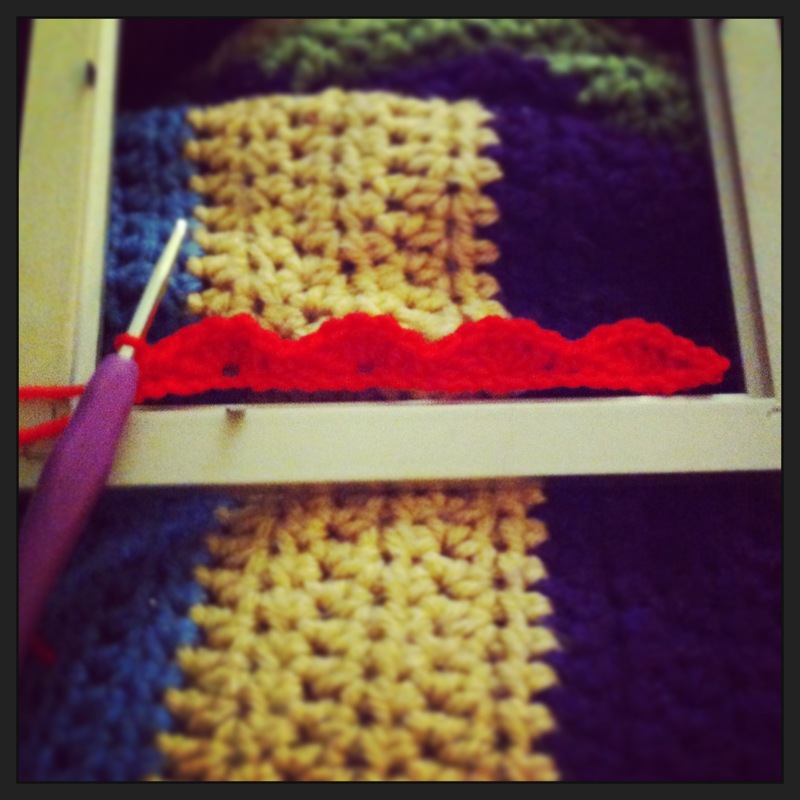 This was only a few months into my crochet odyssey so looking back they could most definitely do with some refining. I had just finished my gold crocodile stitch bag and was sorting out some more of my yarn stash when I came across a ball of mariners dk in ‘taupe’. – the colour reminded me of a toasted burger bun. With previous burger based projects in mind and bags being where I am at crochet wise right now, a cheeseburger bag was the only way to go. Yarn – I used mariners dk in taupe, stylecraft special dk in dark brown, meadow, sunshine, lipstick, parchment and cream. Feel free to use whatever dk yarns you have in similar colours. hdc into the third chain from hook (counts as two hdc) hdc in each chain across, place 3 hdc into the last stitch, place a stitch marker in the second of your three hdc. (do not turn) working along the other side of the chain hdc in each stitch across including the last stitch. You should end up with a piece that has 3 hdc at one end and 2 hdc and a ch2 at the other. ss into the top of the ch2 to close. Ch1 (does not count as stitch) then hdc 3 times into the top of the ch2, hdc and place 3 hdc into the stitch you marked in the previous round then hdc in each remaining stitch around, ss into the top of your first hdc to close the round. working in both loops of the green – sc twice in each stitch around and ss to close – you should now have a frilly green bit that sticks out from the body of the bag. rd 24 – 38 – ch1 (does not count as stitch and hdc around ss to close. r15 – sc into stitch then sc evenly around the piece, placing two sc at each corner, ss to close. ch1 and sc into each ch space and stitch around, in the top of the chain 5 place two sc, continue to sc evenly across the top of you piece, sc over the top of the tail left from the magic ring, ss to close leaving a tail long enough to use to attach to the bag. Gently pull the tail of your magic ring to tighten into a semi circle shape if needed and weave in the end. ch12 and slip stitch into the last stitch. ch1 and turn. working over the chains place 2sc, 2hdc, 4dc, 2hdc, 2sc and ss to close. leave a tail to attach to bag. repeat round 2 until strap reaches the length you require. sc around the strap piece evenly placing 2 sc in each of the corners. Take a long piece of your parchment coloured yarn and embroider on ‘sesame seeds’ to the top part of your bag. It doesn’t matter too much about the inside of the bag as it will be covered by the lining. Make sure your stitches are not too tight. My name is Anonymouse and I am addicted to making crochet bags! I feel madly deeply and completely in love with my crocodile stitch rainbow bag – so much so that I made another smaller version out of the left over yarn from the larger project. 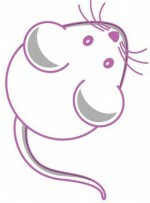 I then did something that horrified Mr Anonymouse…I went to Aldi – more specifically I went to Aldi for their hobby and crafting special buy day. I know I said in my last post that I am surrounded by wool. I know I promised family and friends that I would not buy anymore wool. I know I don’t need more wool.. but… It’s so squishy and such a good price and I did need! I ended up buying two 400g aran balls of each of the following colours: Olive green, red and blue, four 100g dk balls in each of the following colours: grey, white, cream and brown (you can never have enough neutral colours!) and four 50g cotton and acrylic mix dk balls in each of the following colours: beige, mottled green and gold sparkle. At £3.99 per ball of aran, £3.99 per pack of four for the dk and £2.99 per pack of four on the cotton/acrylic mix it would have been rude not to! In total I bought 34 balls for just under £50 – bargain! I set to work almost immediately after I returned home on a third crocodile stitch bag using the cotton/acrylic mix gold sparkle. It took about 3 1/2 balls to complete which means even taking the cost of the lining material into account, I have made this beauty for about the same price as a large cappuccino at Starbucks! Sadly the photo does not show the full effect of the gold thread that runs through the yarn but in real life it shimmers and sparkles. Each of the bags has been made using the crocodile stitch bag pattern from my previous blog post here. The only difference is in the number of chains to start with and the width of the strap. For both the gold and smaller rainbow bag I started with 35 chains and for the strap I started with 6 stitches for the rainbow bag and 7 stitches for the gold one. Crochet wise it is back to the crocodile stitch bag this time using the mottled green cotton/acrylic from Aldi and season 5 of The Vampire Diaries. What is on your hook at the moment? I bought this Scheepjes Cotton 8 ages ago in a sale as I really fancied giving cotton a go. The colours were gorgeous but I had no idea what project to use it for. I ended up making a ZootyOwl Starflower mandala (pattern here) and a teeny freestyle one I made up as I went, a couple of bralettes which I have neither the figure nor will to wear (I followed a youtube video I can no longer find) and a few brooches from a pattern by lucy at attic24 (pattern here). Then I ran out of ideas… so the remaining cotton was packed away in its suitcase and put on a shelf… until a week ago when the idea for the bag crept into my mind. I knew I wanted to make more items using the crocodile stitch – it had been one of those stitches that took me quite a while to get the hang of but after making dozens of pairs of gloves for Christmas presents I feel like I can make a decent looking stitch now. Having formed the basis of an idea I decided to go with the cotton as I wanted to stitches to look ‘sharp’ and if I am honest I wanted a rainbow shaded bag and the cotton was already sat in its little suitcase all rainbowy and ready to go – whereas I would need to actively look through my mountains of acrylic to select the shades – like I said lazy! Bordeaux, Red, Orange, Light Orange, Yellow, Light Green, Green, Petrol, Bright Blue, Heath, Moors, Fuschia and Pink. Any yarn will work but the dimensions of the bag will differ depending on the weight of the wool and hook used. My bag ended up approx 13 inches wide, 2 inches deep and 14 inches long, with a 41 inch long strap. The bag does require some basic sewing but this can be done by machine or by hand. There is a fantastic tutorial on Craftsy on how to line a crochet bag. Lining material of your choice, zip (optional), Sewing pins, ruler and a means to sew it (i used my sewing machine for the lining and hand sewed it to the bag). You will be working in both sides of the chain. dc in next 50 chain spaces then dc four times in the last chain, working along the other side of the chain dc in the next 50 stitches and dc twice in the last space, ss into the top of the ch3 to close. rd 2 – ch 3 and dc into same stitch (counts as two dc), dc in each of the next 51 spaces, 2 dc into the next two stitches, dc in each of the next 51 stitches, dc twice in the last stitch and ss into the top of the ch 3 to close. (112 stitches). that is the base of the bag done – time to make like a crocodile! rd 3 – ch 4 and dc into the same space (counts as a v stitch) ch 1, *skip one stitch, dc, ch1 into next, skip the next stitch and v stitch, ch1 into the next* repeat from *to* around – you should end with a dc, ch1 and ss into the top of the ch 3.
rd 5 – in this round you will be placing v stitches in the spaces between the crocodile stitches (in the tops of the dc’s from rd 3) and a dc in the middle of the crocodile stitches. Once you have completed your crocodile stitch rows decide what colour you wish to do the last two rounds with (i chose bordeaux) attach your yarn. I single crocheted twice in the middles of the crocodile stitches and spaced two single crochets evenly in the spaces between the middle, slip stitched to close , ch 1 and sc around, ss to close, cut yarn and weave in ends. You can make the top of the bag wider by adding more rows of single crochet but I was happy with just the two, it gave enough space to sew the lining to without detracting from the crocodile stitching. repeat until strap is desired length. Attach contrasting yarn (i went with the pink) and sc evenly around all four sides of the strap making sure to sc twice in each corner, ss into first sc, cut yarn and weave in ends. sew strap to top of bag. Cut out and sew together your lining (if adventurous including zip or pockets) then hand stitch to your bag. You’re done! all that’s left is to sit back and marvel at your awesomeness! I am in love with this bag – the cotton makes the crocodile stitches sharper and the colours make me smile (who doesn’t love a rainbow?). With the left over cotton I am in the process of making a smaller version of the bag which is made in exactly the same way but starts with a ch 35 instead of 55. 2017 is already shaping up to be a great year for crochet. I turned 40 in December and was thrown the most amazing gnome themed party by my family – complete with old fashioned games, a feast fit for even the most discerning gnome, gnome painting (I am now the proud owner of my own gnome terracotta army!) and great company! Over the years I have moved around quite a bit and each move has seen me lose a lot of treasured books, so for my birthday I asked for people to buy me a book – either one that they loved or one they thought I should read and write a note in it so I could have a library of good wishes – I am ridiculously grateful for all the books I received. What I was not expecting however was my secret gift. Yarn – lots and lots and lots of gorgeous yarn! I already had quite the stash of yarn but I now have so much squishy, colourful yarny goodness there is literally no space left to store it – beautiful mohairs, soft chunkies, cotton, eyelash and every colour of acrylic dk you can think of! My crojo has been completely rejuvenated! I downloaded the amigurumi today app from the itunes store for inspiration and there it was 2017’s first project – the little lady doll! I was so pleased with the way she turned out I had to make another one! The app has loads of gorgeous free patterns on it – there is a monkey and some adorable turtle coasters I shall be giving a go soon. After the tissue cover I was ready to tackle something a bit bigger – I love rainbows and I love bags and since learning the crocodile stitch for the fingerless gloves I decided to make a rainbow crocodile stitch bag using Scheepjes cotton 8. Oops! It would appear that I have left this blog alone for far longer than anticipated! The last year has been a rollercoaster! I had to move house as my landlord was selling up, there was the suspected brain tumour, my folks in and out of hospital and new editions to the family since I last wrote about my crochet adventures here. Meet Oswald and Frank my new kitten and Gecko! 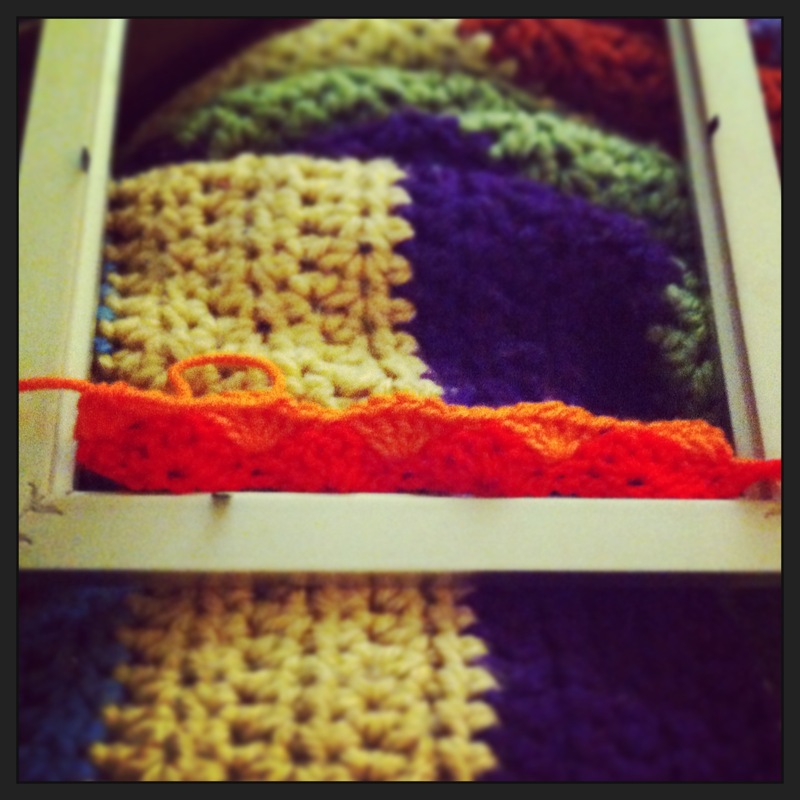 Though I have been crocheting I have been crazy busy settling in and adapting to my new life. That was until I saw the most gorgeous gloves pop up on my facebook and had to try and make my own. Anyways that is enough about me – on to the pattern! Round 1 – Using your 3.5mm hook chain 36 then making sure the chain is not twisted, slip stitch into the beginning chain to create a circle (to make the gloves larger or smaller chain fewer or more stitches making sure they are a multiple of 4). Round 4 – time for the first crocodile stitch! You will be crocheting around the posts of the dc’s – 5 dc’s down one side of the V, chaining one then 5 dc’s up the other side of the V.
You should now have 5 rows of crocodile stitch – this is long enough me but feel free to add more rows if you want longer finger and hand parts of the gloves. Round 14 – ch 1 and make a crocodile stitch around the V – then SC into the top of the next dc, SC in each chain across and into the top of the next dc (12 SC in total), make a crocodile stitches the same way as you have done for previous rounds and then SS into the top of your last dc. Round 15 – In this round you will be switching from Crocodile stitch to Granny Stitch. I like to make sure my work is turned so that the wrong side is facing me – this helps to hide the slip stitches made during the granny stitch stage of the gloves. Ch 3 and dc twice more into the same stitch, dc three times into the middle of the next crocodile stitch, find the SC you did into the top of the dc in the previous round – dc that and the next SC together, dc2tog 5 more times, you should now have 6 dc2tog in total. *Dc 3 times into the middle of the next crocodile stitch, dc 3 times into the top of the dc from previous round* , repeat ** around and slip stitch into the top of your chain 3. Round 18 – Slip stitch to next gap, ch 3 and dc twice into same gap, Granny stitch in each gap around, slip stitch into top of chain 3. Repeat round 18 until you reach the desired length – I have found that 13 more rows are perfect for me and with this wool ensures the colour change is not too different when you make the second glove. I finished off with a round of hdc but you can add any border you fancy! All that’s left to do is weave in those ends. The second glove is made in exactly the same way! I hope this all makes some sort of sense – apologies for the picture quality, let me know if you find any mistakes!! 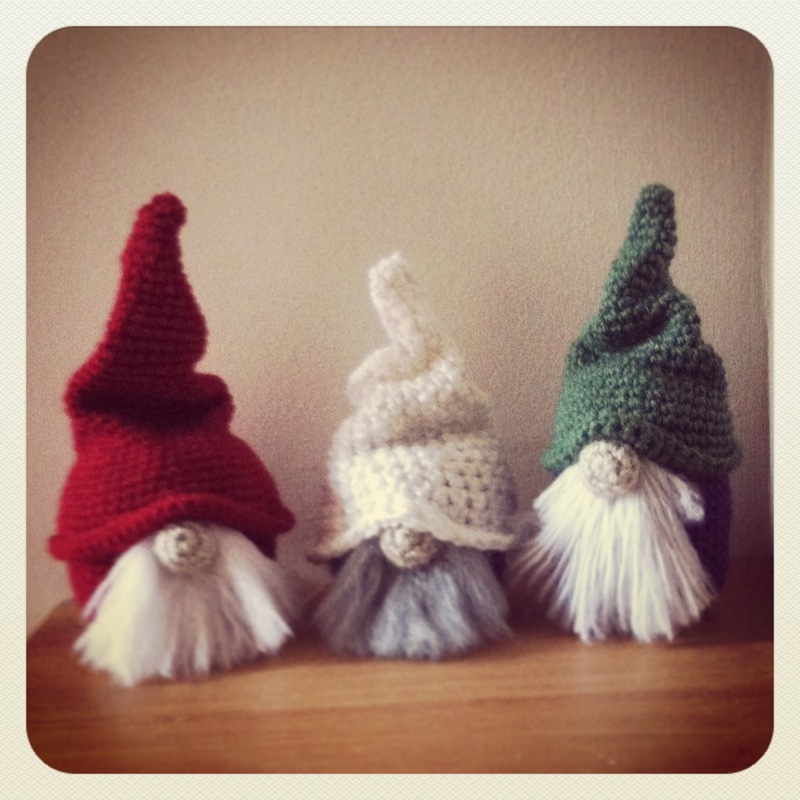 Recently I have been crocheting gnomes again – I made three a couple of years ago but could not remember how I did it!! This time I have actually written down what I did whoop! taking two strands of the yarn, fold in half to create a ‘loop’, with your hook pull that loop through one of the stitches at the base of your nose, pull the other end of the yarn through the loop and ‘knot’ the yarn by pulling tightly. 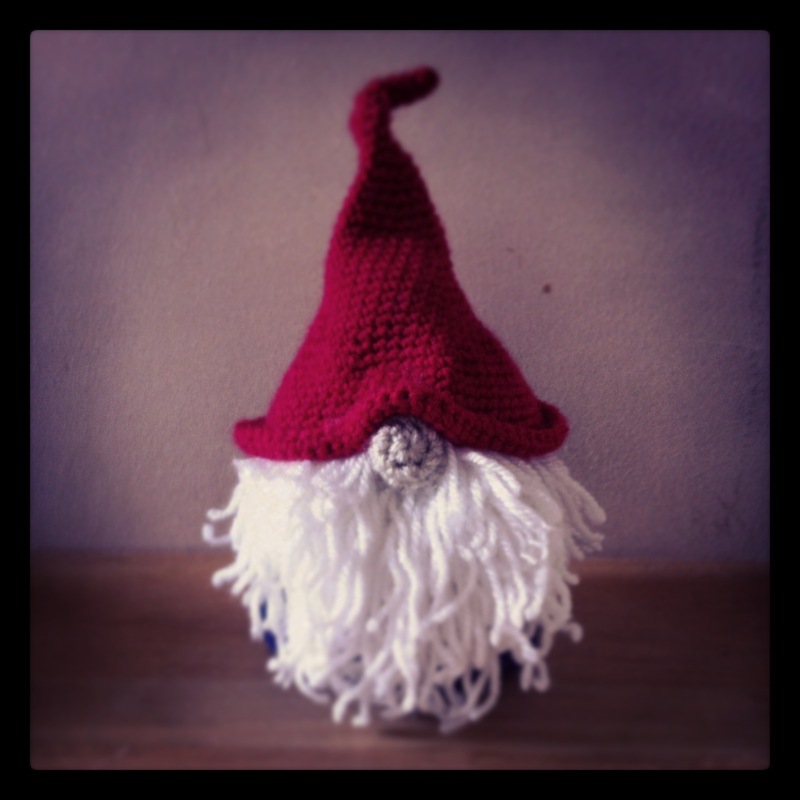 To add the hat you will want to turn the last few rows upwards to create a ‘brim’. Sit the hat on the body so that the brim sits snug over the top of the nose, curl the ‘brim’ down and sew around securely along the last of your increase rows making sure to add a couple of stitches either side of the nose. Curl the brim back up and ‘squish’ the hat down a little to give it a ‘crooked’ look. You can modify how tall your gnomes are by adding or removing the number of sc around rows you add to the body. You can make them skinnier or fatter by adding increase rows to the body – but will need to also increase the number of increase rows for the hat. Upcycled crochet earring holder tutorial! My aunt asked me to write out a tutorial for the crochet earring holder I made so here it is!! To begin you need to chain in multiples of 6 with 2 extra chains – my frame required 26 stitches in total – you want your chain to fit the frame when stretched not when loose, as you do not want the final piece to sag under the weight of what you hang on it. row 1 – sc in second chain from hook, *skip the next 2 stitches then dc five times into the next stitch, skip the next two stitches and sc into the next* – repeat from * to * to the end of the row – you should finish with a sc. fasten off and weave in all your ends! 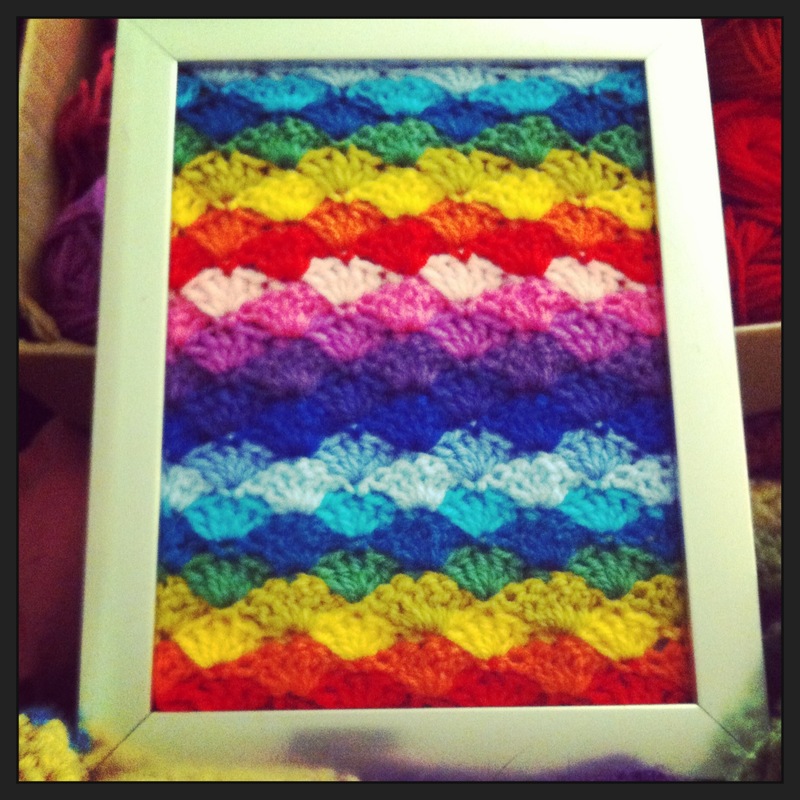 remove the back of the frame and put glue along the lip where the glass would usually sit and press one edge of your crochet work into it – I do one side at a time and allow it to dry completely before doing the next – make sure to stretch the work so it fits well – use clothes pegs if you need to, to keep it in place whilst it dries. 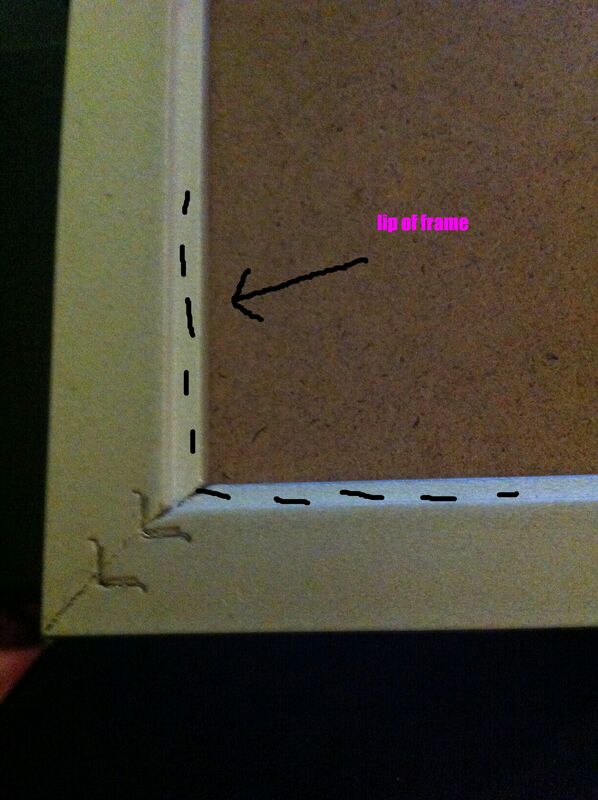 Once all four sides are glued and dry add the back of the frame and secure. excuse the santa earrings – all my non christmas earrings seem to have disappeared – also pictured crochet flower brooch and some fun button hairslides I made last year!